Have you or someone you know ever been the victim of an unexpected traffic or police stop? Virtually everyone who gets behind the wheel has felt the initial shock of seeing blue and red lights flashing in their rear view mirror. Whether the stop was due to a moving violation, faulty equipment, or other issue, the experience is likely to be an unpleasant one. In fact, you may think to yourself that the next time you are stopped by law enforcement, you want to record the incident. While the idea might sound great, is it legal? Taking photographs of plainly visible things in public spaces is completely allowed under the United States Constitution; besides federal buildings and transportation facilities, this includes police and other government officials while carrying out their duties. When you are lawfully present in a public space, you have the right to photograph anything in plain view. When on private property, on the other hand, the owner may set rules about taking photos. Generally, police officers may not confiscate or demand to view your photographs or video footage without a warrant. If you are arrested, however, the contents of your phone or other electronic device may be scrutinized by law enforcement. That being said, law enforcement may not delete photos or videos under any scenario. If you are interfering with legitimate law enforcement operations, a police officer can order you to cease activities. Finally, the right to photograph or videotape does not give you the right to break any other law. Nevada is one of a few states in which privacy laws, in general, prohibit the filming of members of law enforcement in a private setting without first getting the officer’s consent. Other states that have this rule include California, Connecticut, Florida, Michigan, Montana, New Hampshire, Pennsylvania, and Washington state. Courts have ruled in these states, however, that the restrictions do not apply to recording law enforcement officers when they are on the job and in a public place. Moreover, federal law allows filming of police officers in a public setting as long as the individual remains out of the officer’s way. All this being said, those who choose to film police officers may still face issues because the officer may not know the privacy restriction may not apply or may badger you in an attempt to confiscate your phone or camera. You may even be arrested on misdemeanor charges and accused of civil disobedience. If the police threaten to arrest you, you can comply with the request but state for the record that you are doing so under protest, or submit to the arrest but hold on tightly to your recording device and keep it on and recording as long as possible. If a Nevada law enforcement officer arrests you for recording a police encounter, do not try to fight the charges by yourself. Contact an experienced attorney to help protect your rights and liberty. 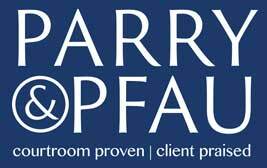 If you have any questions about Nevada law, be sure to contact the skilled Las Vegas personal injury attorneys at Parry & Pfau today.